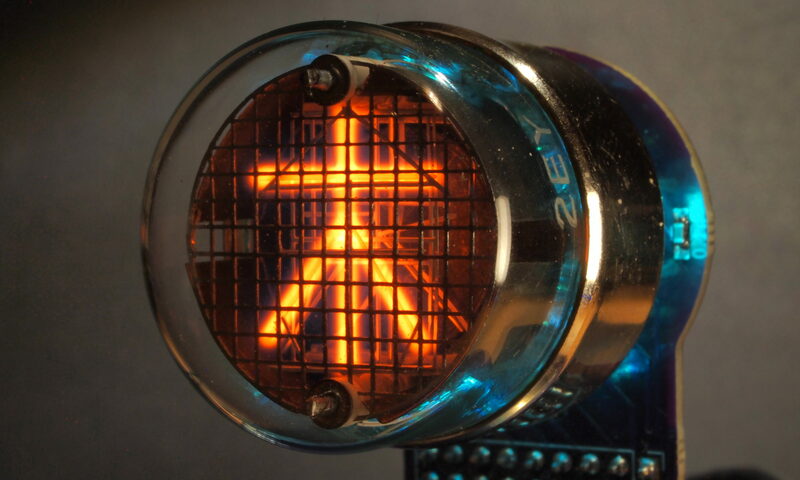 A Z568M nixie tube made by WF/RFT. 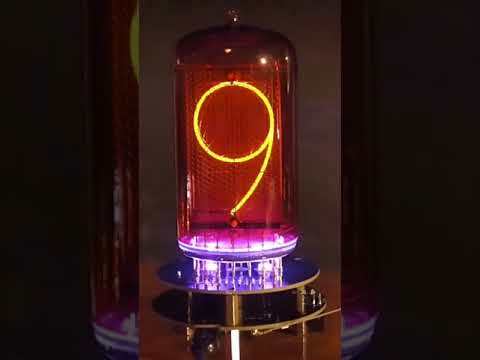 This is the largest European Nixie tube with a 50mm digit size. It is almost pin-compatible with the American NL7037, except rotated 180°. The digits on this tube are finer than those on the NL7037, and the tube uses about 2/3 of the current of the NL7037. Excerpts from some datasheets. The full datasheets are available on Dieter’s web site.